(KFVS) - Conagra Brands announced a limited recall on Hunt’s Tomato Paste cans on Wednesday, April 3. The recall is due to the potential presence of mold in certain cans. 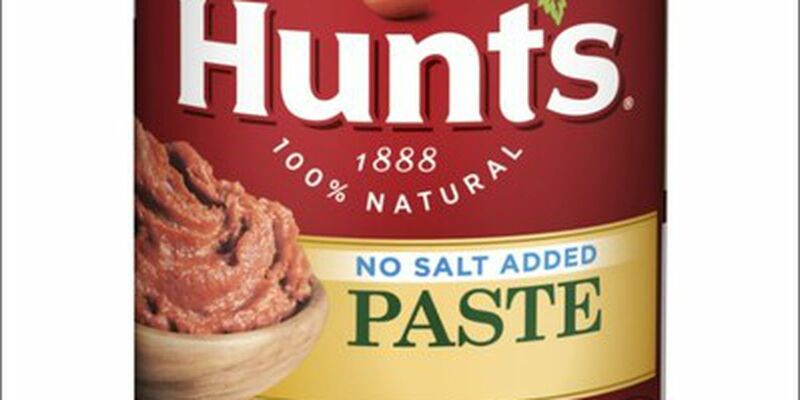 According to company officials, this voluntary recall affects a limited amount of Hunt’s Tomato Paste No Salt Added six ounce cans. The recall stated after the canning process, it is possible that the product was damaged creating the potential for mold. Customers have contacted Conagra Brands about the issue. The company said the products affected by the recall were distributed nationwide. Customers are advised not to use the can, throw it away or return it to the store where it was originally purchased. No other Hunt’s products or Conagra Brands’ products are impacted by this recall according to the company. The FDA has been informed of the recall as well.